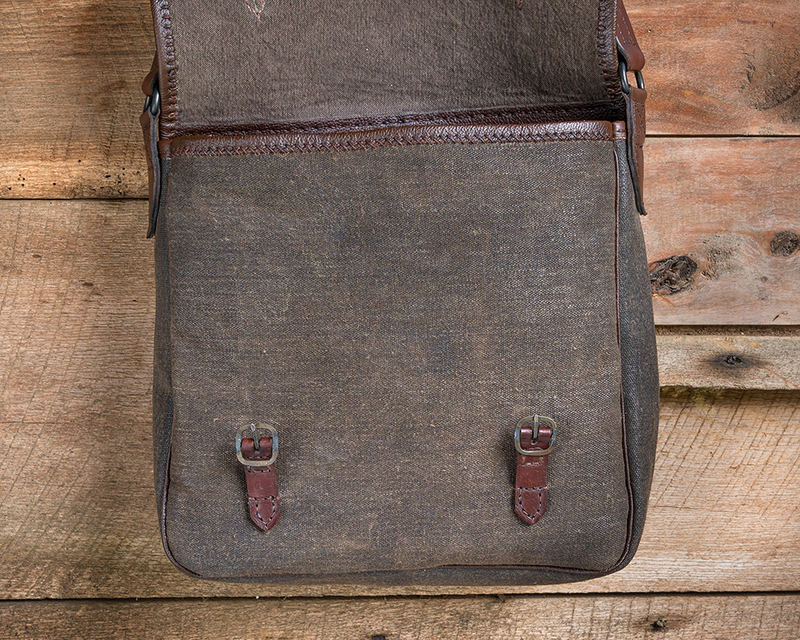 This Haversack features 1 large roomy main pocket with a 3″ gusset for even more space. 2 smaller side by side canvas inner pockets at 5″ wide x 4 1/2″ deep each. 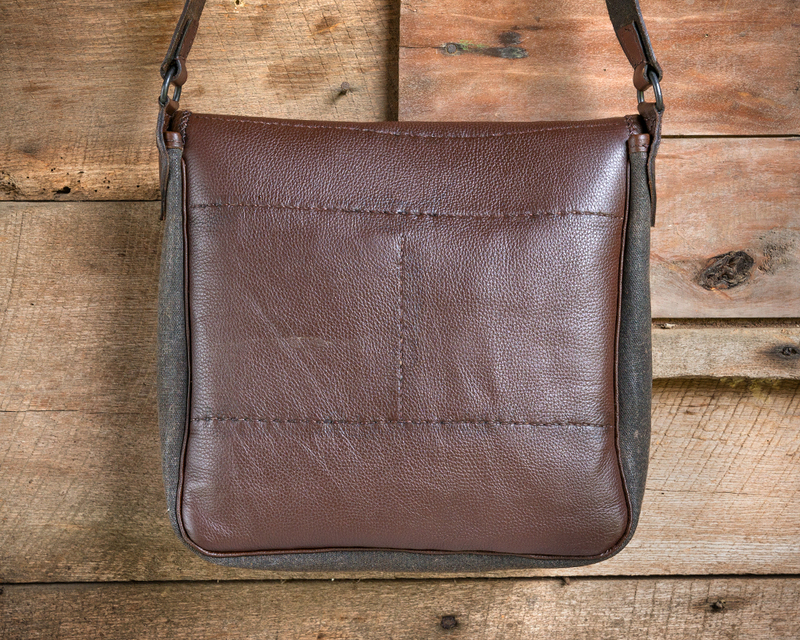 The bag is lined with a separate layer of cotton canvas for durability. Hand sewn with waxed linen thread. 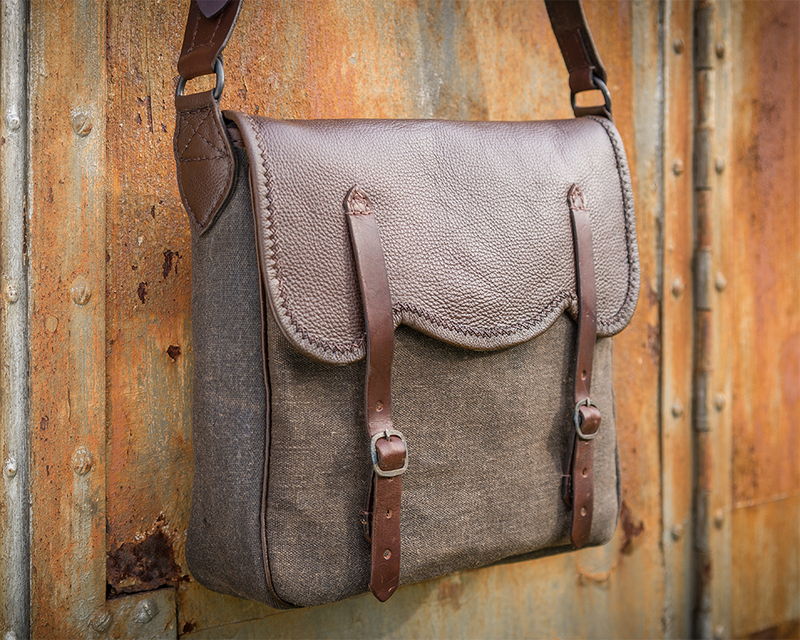 The Haversack – Double Strap can be made from a variety of leathers or in combination with hemp that has been dyed with walnut hulls. 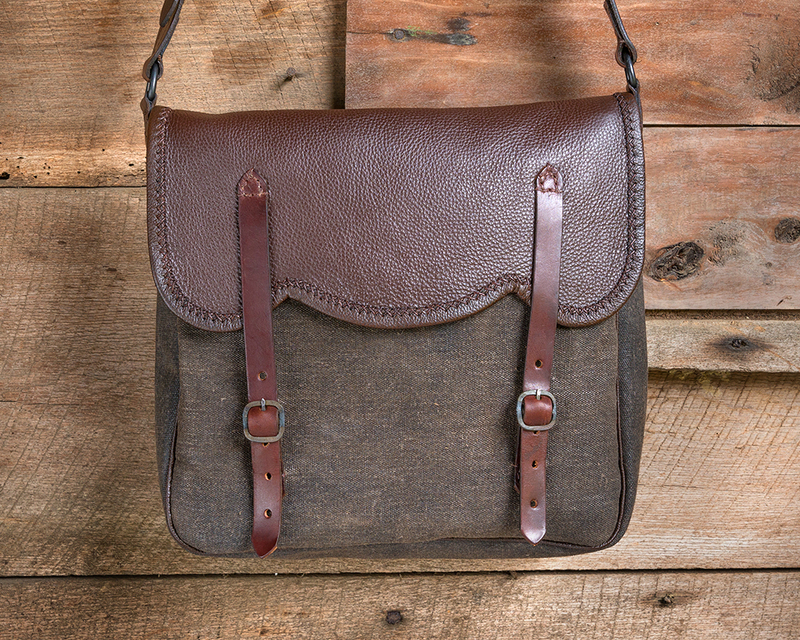 Pictured with hemp front and sides with leather flap and back.